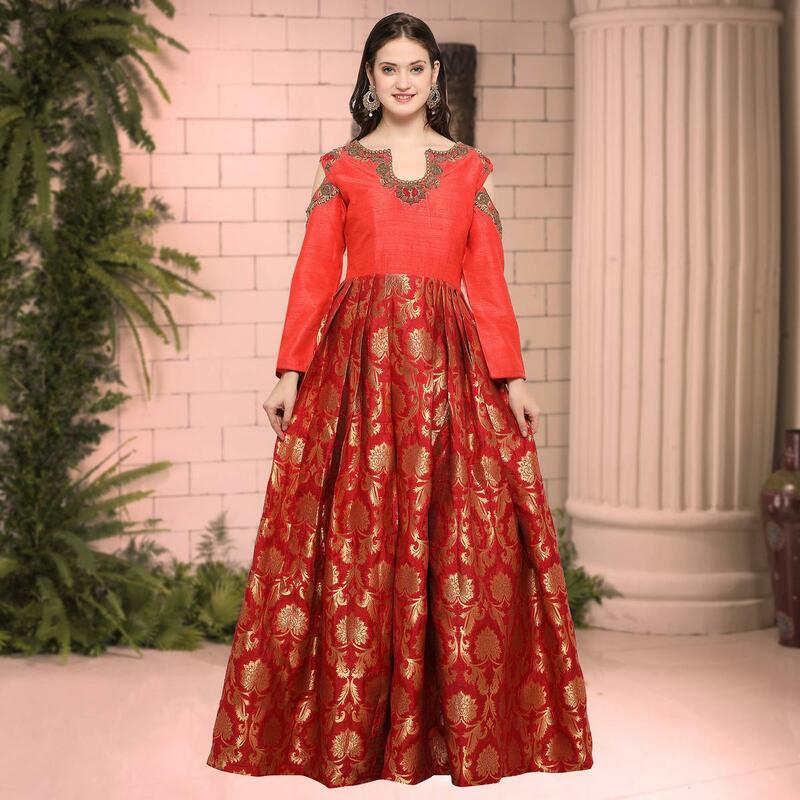 Get a bold & beautiful look in this gorgeous red designer anarkali gown. 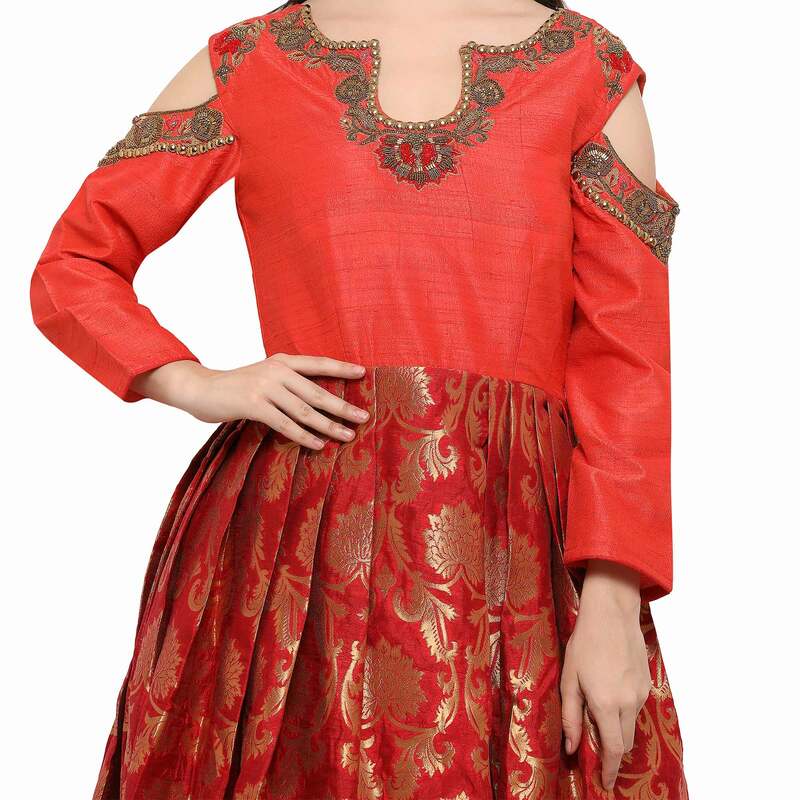 The ethnic hand embroidery work over the top adds a sign of elegance statement to your look. This attire won't fail to impress everyone around you. 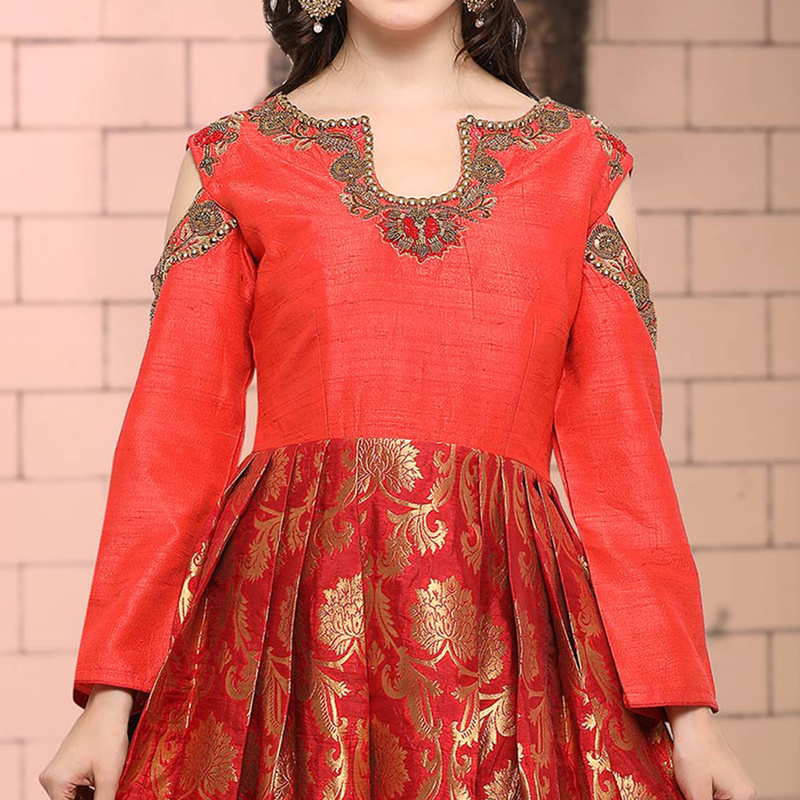 The outfit is designed on raw silk & jacquard silk. Comes along with santoon lining, lycra net leggings and net dupatta. You can buy this ethnic dress to wear for their upcoming functions and occasions. Team it with classy accessories to make your looks more beautiful. 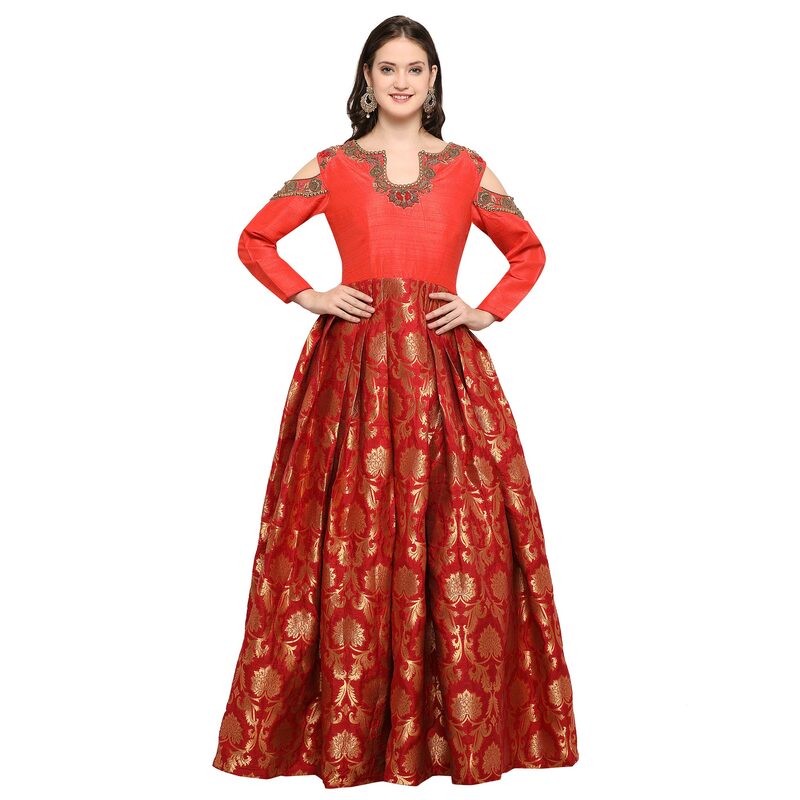 Buy this gown now as it's a unique piece with attractive color combination which is rare to find. Length Chest upto 42 inches and length upto 50 inches. ( XL Size ).